Update: Netflix reached out and offered this take on showing ads. "These promos are skippable. At Netflix, we conduct hundreds of tests every year so we can better understand what helps members more easily find something great to watch. A couple of years ago, we introduced video previews to the TV experience, because we saw that it significantly cut the time members spend browsing and helped them find something they would enjoy watching even faster. Since then, we have been experimenting even more with video based on personalized recommendations for shows and movies on the service or coming shortly, and continue to learn from our members. In this particular case, we are testing whether surfacing recommendations between episodes helps members discover stories they will enjoy faster. It is important to note that a member is able to skip a video preview at anytime if they are not interested." Original Story: Netflix absolutely revolutionized the way that content is not only consumed, but created and shared in the modern age. Few companies have quite as much influence in the entertainment industry. One major draw for subscribers is that they can pay a monthly fee and will have access to near-countless hours of content, commercial free. Well, in most cases. The streaming service recently began testing out a new feature that is giving subscribers serious commercial vibes. This, to say the least, hasn't gone over well. 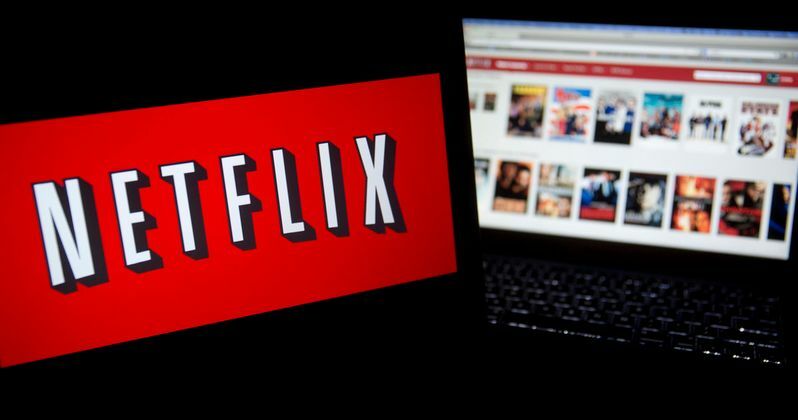 Over the weekend, Netflix began testing out a feature with certain streaming users. Instead of just rolling right into the next episode during one's binge-watching excursion, the service was showing ads for another one of their productions in order to possibly entice said user to watch that show or movie. While Netflix wouldn't call these commercials explicitly, that's how quite a few users took it. The company had this to say in a statement about the feature. "At Netflix, we conduct hundreds of tests every year so we can better understand what helps members more easily find something great to watch. A couple of years ago, we introduced video previews to the TV experience, because we saw that it significantly cut the time members spend browsing and helped them find something they would enjoy watching even faster. Since then, we have been experimenting even more with video based on personalized recommendations for shows and movies on the service or coming shortly, and continue to learn from our members. While it's true that traditional TV, YouTube and even Hulu, unless you pay the extra fee that omits ads, all still contain some form of commercials, a major draw for Netflix subscribers has always been the promise that such unwanted interruptions won't ever be a thing. With more and more streaming options cropping up, some online made it clear that if the company pursues this further, they're taking their business elsewhere. Here's what one Twitter user had to say. "If @Netflix gives us commercials I will absolutely cancel my subscription. I literally pay for no commercials." This also plays heavily into Netflix's more recent business model. While their streaming service started out as a place to watch aggregated content from other networks and studios, they've since turned into one of the world's largest producers of TV and movies. As such, it would make sense for them to try and find new ways to promote their content. Some users took a slightly less aggressive approach. Said a different Twitter user. "If Netflix wants to show trailers between every episode, maybe two episodes ima be fake mad for 2 days and get over it. They're too good to us." It seems likely that subscribers won't have to worry. Netflix has a lot of competition already and with Disney launching their own streaming service next year, they need to do everything they can to keep subscribers happy. All 130 million of them. With that in mind, they're probably not going to take this criticism likely. Don't expect this feature to stick around. This news comes to us courtesy of Cord Cutters. The point of me watching shows on Netflix is so that I can watch ten thousand episodes of shows uninterrupted. These trailers playing in between episodes are really just killing it for me. I hate it. If Netflix wants to show trailers between every episode, maybe two episodes ima be fake mad for 2 days and get over it. They’re too good to us.